Last year, photographer Arthur Bondar saw advertising on Facebook from the family of Soviet war photographer Valery Faminsky who were selling his archive, and bought the negatives. The rare photographs of WWII caught so much attention it was decided to publish them as a book. 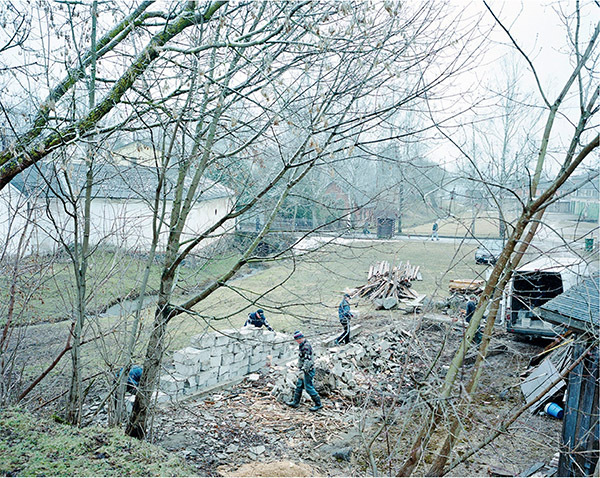 In February, Bondar is planning to launch a crowdfunding campaign to raise money for it. This report was originally published in Bird In Flight magazine. Berlin looks monumental in ruin. It is a huge and gloomy monument to the insanity of politics, as well as a reminder that a gentleman’s war is impossible. When Adolf Hitler ordered the bombing of Great Britain in the summer of 1940, he was still hoping to coerce Churchill to negotiation. That’s why German aviation planned attacks on military and industrial objects, and pilots were warned they would be punished if they struck living quarters, even accidentally. The technological limitations did not allow for fulfilling this requirement. On the August 24, several Luftwaffe planes got lost and killed nine people in central London. On the next night, 25 crews of the Royal Air Force were in the sky over Berlin. During the inaccurate bombing of Tempelhof airport and Siemens factory, they hit civilian homes. Eye for an eye. Since then, both sides did not try to avoid collateral damage when planning air raids, and even aimed for it. The strategic goal was now to suppress the enemy’s will by carpet bombing. By 1943, the US joined Britain in bombing Berlin, the next year came the French. By the end of the war, the Western allies had dumped over 68,500 tons of explosives on the German capital. The Red Army added another 40,000 bombs and shells during the assault. Palaces, museums, places of worship, historical and cultural monuments were destroyed along with the residential homes, government buildings, and military objects. 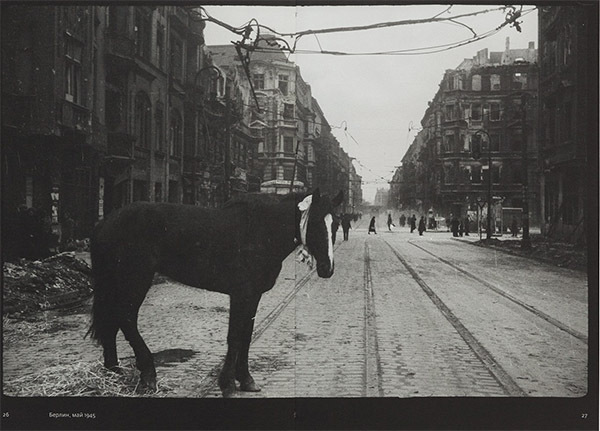 However, the most horrible photographs of post-war Berlin were taken in the city center, where 80% of buildings were destroyed. The total for all districts of the city was 33% — less than in other large German cities. Bohn was 85% destroyed, Hannover — 60%, Frankfurt — 52%, Munich — 42%. The human casualties were also comparatively low, as for WWII. According to the estimates of German historians, airstrikes killed 20,000–30,000 Berliners. The capital was protected by a large square area, a significant distance from the enemy’s airstrips, and a powerful air defense system. Strategic bombing did not achieve the desired results. Taking into account huge losses — Western allies lost 33,700 planes and 160,000 pilots over Europe — some historians claim that the air campaign was a failure. German industry was seriously damaged, but the production of military goods was growing in Germany till mid-1944. 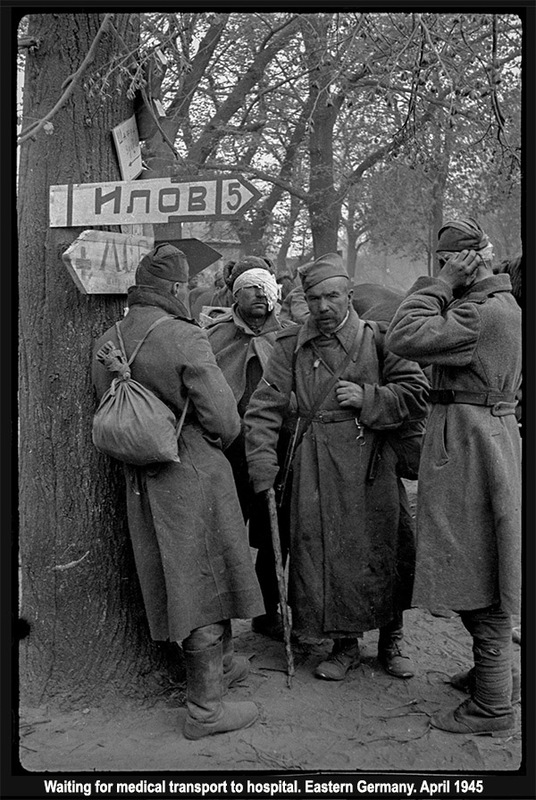 Although after the war 91% of surveyed Germans said that the bombardments were the most difficult for them, the country fought until the fall of Berlin and the capitulation of the government. Before the war, the population of Berlin and its suburbs reached 4,700,000 people. In 1943, the German government decided to evacuate people who were not involved in production and government away from the bombardments. Women, children, and the elderly were taken from Berlin to the countryside. Many of them returned home secretly, and soon the city was also flooded by refugees from East Germany. The population grew — and then decreased again, when people were fleeing to the West as the Red Army got closer. 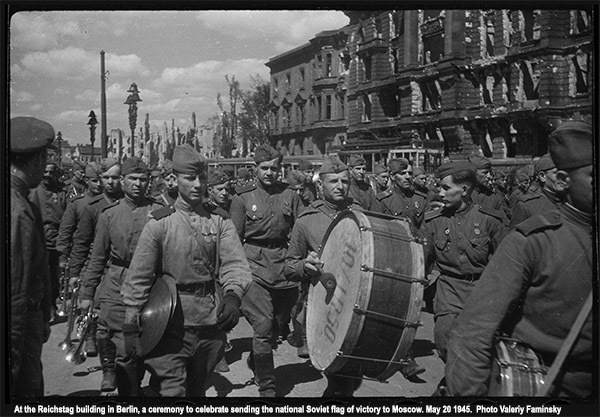 By May, when Nazi Germany capitulated, there were 1,700,00 people in the capital. The main problem for the Soviet administration was to save people from starving to death. In May, they introduced a five-level food rationing system. The most food was given to scientists and artists, the least — to the elderly and housewives. 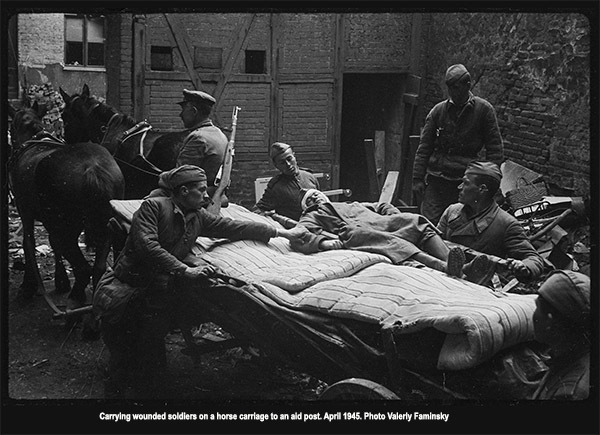 Their rations were called ‘Friedhofskarte’, a ‘ticket to the cemetery’. At the time, an average Berliner weighed 6–9 kilograms less than the normal average weight. 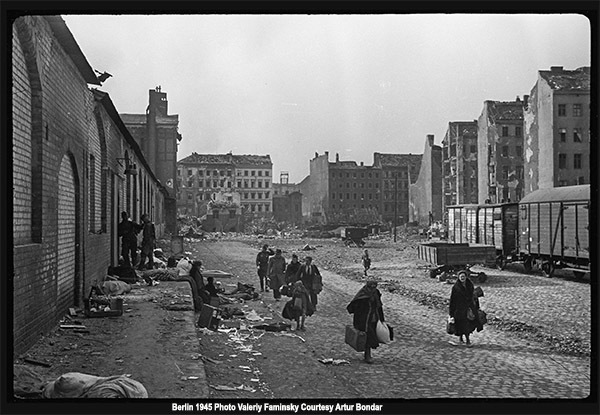 For every living Berliner, there were 30m³ of garbage and debris by the end of the war. The Soviet administration thought it would take 12 years to fully clear the city. Three weeks after Berlin was liberated, 60,000 women aged between 15 and 65 were drafted to clear the debris. Trümmerfrauen, women of the ruins, received 12 marks a day and, much more importantly, food according to the second level of rationing. The revival of Germany was both fast and slow. During WWII, the country lost 18% of its resources, but gained plenty — huge military investment into the infrastructure and stimulation of the economy by refugee Germans from other countries. Already in 1950, goods made in Germany were massively exported. The restoration of the capital, which was divided into the Eastern and Western zones, was still underway in the 1980s. In West Berlin, the destruction of entire districts and the need to re-plan the city encouraged the development of modern architecture. In East Berlin, where the socialist state allocated much less costs to reconstruction, some of the buildings still have bullet holes and shelling damage on them. The fall of the Berlin Wall prolonged the reconstruction for another three decades. What should Berlin be like — this is still a hot issue. It seems that the citizens enjoy the very process of constant renewal. I first met Rafal Milach in Perpignan at Visa Pour L’Image circa 2005 when he was practising photojournalism and interested in conflict. In 2004 he met Agnieszka Rayss and Jan Brykczynsk. Two years later they founded Sputnik Photos. They were all from central-eastern Europe and wanted to tell stories from the region they came from and could relate to. Another common denominator was the experience of transition from communism to so-called democracy. Milach and his cofounders somehow felt that their voice would be stronger as a group. After ten years of collaboration they have became one organism. Sputnik is handled from Warsaw, though they have international members, with photographers from Belarus, Slovakia and Czech Republic. About this time he became more interested in the art of resolution and in art per se. Both he and Sputnik have grown into an international force in photography. He has travelled on from the nostalgia of “Black Sea of Concrete”. ‘— I always thought that I started photographing late but now I think that was a perfect time. I was a student of graphic design at the Academy of Fine Arts. This is where I met a great teacher and photographer, Piotr Szymon, who assured me I had some photographic talent. I was thinking about the idea of borders and how abstract and fragile they had become in recent years, especially for this region. Rafal Milach is a visual artist, photographer, and author of photo books. His work focuses on topics related to the transformation in the former Eastern Block. Graduate of the Academy of Fine Arts in Katowice, Poland, and the ITF Institute of Creative Photography of the Silesian University in Opava, Czech Republic (currently lecturer at ITF). 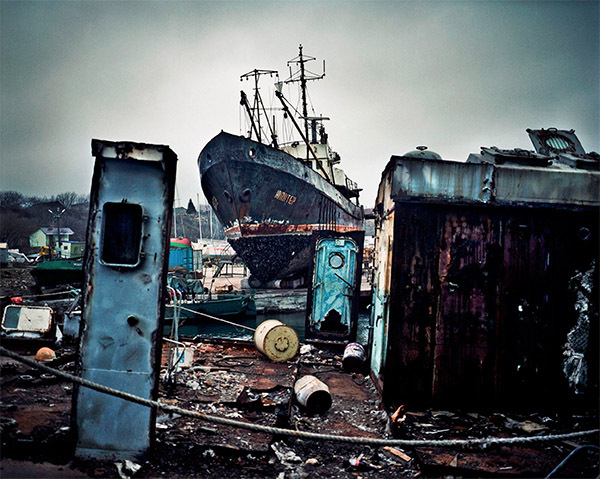 His award-winning photo books include The Winners, 7 Rooms, and The First March of Gentlemen. Rafal Milach has received scholarships from the Polish Minister of Culture and National Heritage, Magnum Foundation, and European Cultural Foundation. Finalist of the Deutsche Börse Photography Foundation Prize 2018 and winner of the World Press Photo competition. Co-founder of the Sputnik Photos collective. His works have been widely exhibited in Poland and worldwide, and can be found in the collections of the Centre for Contemporary Art Ujazdowski Castle in Warsaw, the ING Polish Art Foundation, Kiyosato, the Museum of Photographic Arts (Japan), and Brandts in Odense (Denmark). Milach joined Magnum as a Nominee in 2018. Photographer Inge Prader from Vienna recreated the works of an Austrian painter Gustav Klimt in a series of photographs, Huffington Post writes. The project includes such works as Death and Life, Danae and the paintings from Beethoven Frieze series. It is reported, that the photographs were presented as part of the annual event, organized by Life Ball center, which raises funds for those affected with HIV/AIDS.